Webster defines it as, "A feeling of deep admiration for someone or something elicited by their abilities, qualities, or achievements." Wikipedia says that, "Respect can be a specific feeling of regard for the actual qualities of the one respected." 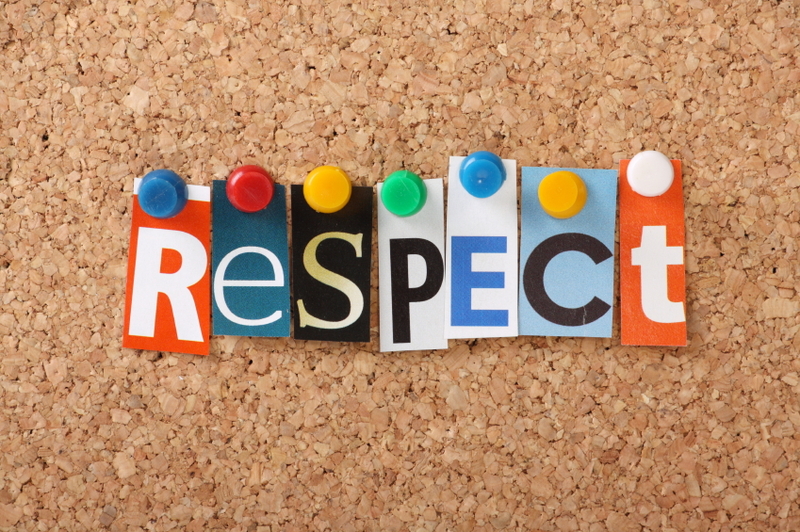 With either definition, respect is defined as something that should be only given to the deserving. Yet, sometimes people confuse the fact that although something should be acknowledged---it doesn't mean it's necessarily worthy of respect. In many facets of my life, I am labeled a harsh critic. This is applied to my opinions on artists, fashion sense, beauty, professional titles, music, people's intelligence... the list continues. For me, I need to be overly impressed or severly enlighted in order for someone to earn my respect. I am not one to loosely throw compliments. I feel that by doing so, it waters down the validity of future compliments I chose to bestow upon others. Not only does that occur, but it also dampens the value of those actually deserving. This is not to say, that I do not acknowlege things... Yet, I learned very early in life that every thought does not need to be spoken or is worthy of a verbal declaration. I'm often in situations where someone asks my opinion on a how a celebrity or random passerby is dressed, looks, etc. My response is normally "they're alight." If I see a girl with a nice chambray shirt, I might acknowledge it and think, "oh, that's a nice shirt." But unless she also has nice pants, shoes, and accessories...it's not quite worth the declaration. People like to call that harsh, but what would I look like complimenting every girl that passed by in a chambray shirt? Webster defines a compliment as, "A polite expression of praise or admiration." Praise and Admiration. 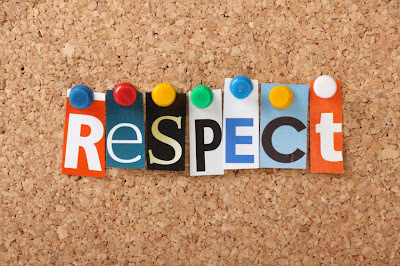 Are those things not similar to respect in the regard that the recipient needs to be deserving and exert some exemplary characteristic that makes them worthy of such? Not sure how it works with everyone else...but no length of time, position, title, status, or otherwise guarantees someone a shoe-in for my respect. Respect is earned, not given. In addition to that, every acknowledgement does not deserve declaration.